Home > PHOTOS > Actress "Dayo Amusan" Tackles Fans Who Tell Her To Watch Her Weight. Actress "Dayo Amusan" Tackles Fans Who Tell Her To Watch Her Weight. 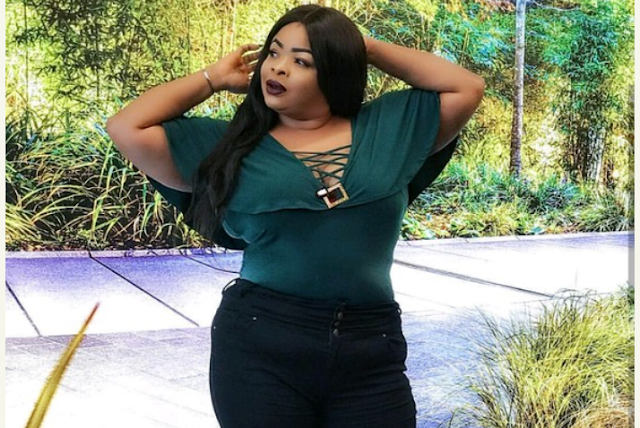 After posting a new picture of herself on her instagram page, the Nollywood Yoruba actress, Dayo Amusan was slammed by some of her fans for getting fatter and having bad tummy. The actress however insulted the fans back as they troll each other on her comment section.